Dr Rick Seah is a medical consultant working in London. He is a Fellow of the UK Faculty of Sport & Exercise Medicine, RCPL & RCSEd. He is listed on the General Medical Council's specialist register and is doubly qualified as a specialist (FFSEM) and generalist (MRCGP). Rick completed his early education in Singapore and subsequently attended Marlborough College in Wiltshire, England. He graduated with a medical degree from Guy's & St Thomas' Hospitals Medical School, King's College London (KCL), in 1999. He attained a Master's degree (with distinction) from University College London (UCL) in 2005. In the same year, he also obtained the IABSEM intercollegiate diploma in Sport & Exercise Medicine. Rick spent 12 years training in various NHS teaching hospitals and clinics in the UK. He is an accredited medical specialist in SEM, having completed the London Deanery 4-year 'run-through' specialty registrar training rotation (ST3-ST6) and subsequently working an extra year as a senior registrar (2007-2012). He was an honorary clinical research fellow at the Olympic Medical Institute (OMI) and University of Southampton (2004-2005). During this time, he was privileged to work with the GH-2004 research group (led by Professors Peter Sonksen and Richard Holt) and Dr Richard Budgett at the OMI to determine levels of endogenous hGH-markers in injured athletes. This was part of a global anti-doping strategy, since trialled at recent Olympic Games and adopted as the 'Biomarkers Test', to combat Growth Hormone abuse. Rick was recipient of the 2009 UKADIS Malcolm Read Scholarship in Sport & Exercise Medicine Award. He has been a Member of both the UK and Irish Faculties of Sport & Exercise Medicine since 2006. Upon completion of specialist training in 2011, he was awarded Fellowship of the UK Faculty- FFSEM (UK). He is an accredited musculoskeletal sonographer. Rick is an honorary consultant at the Institute of Sport, Exercise & Health (ISEH) and University College London Hospitals (UCLH) NHS Foundation Trust. He consults privately at The Wellington Hospital and Princess Grace Hospital in central London. 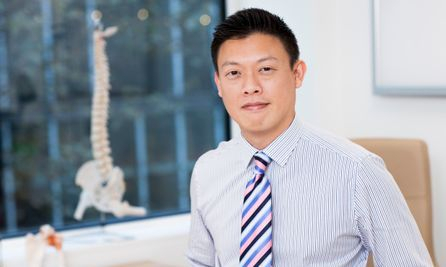 He is also an SEM consultant at Pure Sports Medicine Clinic in Canary Wharf. Rick has an interest in medical education and is an accredited Member of the Academy of Medical Educators (MAcadMEd). He has completed an M-level module in Educational Policy & Leadership at the University of Bedfordshire in 2011. He previously organised the London Deanery School of SEM's inaugural and 2nd annual SEM Educational Conferences. From 2005-2007, Rick worked with GP Forum to lead on educational seminars in London for general practitioners travelling from across the country. Rick has been an external lecturer on the University College London MSc in Sports Medicine, Exercise & Health course and Queen Mary University of London intercalated BSc in SEM course. He was previously a tutor for the British Institute of Musculoskeletal Medicine (BIMM) and the inaugural registrar representative on FSEM(UK) council (2008-2011). Rick is an examiner for the MFSEM(UK) faculty membership examination, Bath University & University College London MSc examinations. He previously examined for undergraduate medical student examinations at Bart’s & The London Medical School. 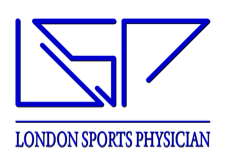 Rick worked as a sports physician at the English Institute of Sport (EIS) from 2011 to 2015, treating international GB athletes at their elite multi-sport clinics in University College Hospital and Lee Valley Athletics Centre. 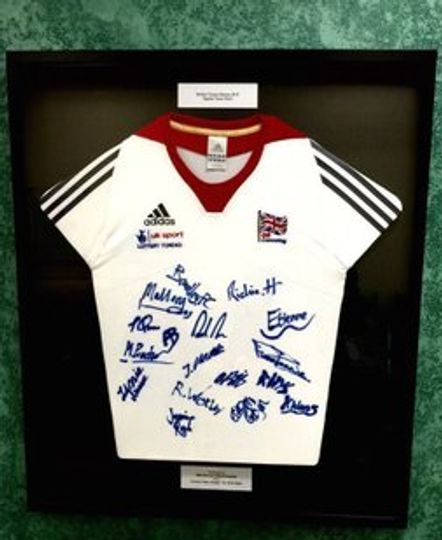 Within this role, he was the team doctor for British Fencing and medical officer for British Canoe Slalom. He was also the chief medical officer for British Wheelchair Tennis (2013-2015). Rick was a sports medicine doctor at the London 2012 Olympic & Paralympic Games. He has previously worked with Chelsea FC Academy as part of his SpR training (2009-2010). He was a medical officer at the 2015 World Artistic Gymnastic Championships, 2010 World Wheelchair Basketball Championships, 2010 UK School Games, 2009 Special Olympics, England Athletics age-group championships, London Marathon, London Triathlon, Blenheim Triathlon and the Abu Dhabi International Triathlon (2010-2014). He was a member of the Wembley National Stadium event medical team (2007-2009) and an expedition medical officer on a month-long expedition to the Sinai Peninsula, Egypt in 2001. He is an honorary physician for the British Association of Performing Arts Medicine (BAPAM). As part of his ongoing commitment to continuing professional development (CPD), Rick is gradually working his way through the online modular FIFA diploma in football medicine.